Much has been written and discussed about the power of data in recent years and in particular the potential of big data systems. There is a general belief that if we collect all the machine data and utilise a big data software system then we can work out the answers to the questions we have regarding the data. 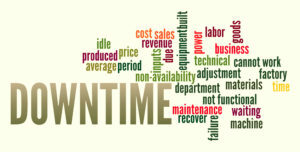 Typically when we talk about an OEE / downtime management system the answers we seek are what are the root causes for production losses on our production machines and what can we do to eliminate them. In this article we are examining this idea of big data regarding in particular OEE / downtime management type software systems. The idea of big data solutions has become more popular in recent years. Software developed by Google, Facebook and other companies have managed to prove the viability and value of big data systems. While big data analysis has clearly been proven to work in certain scenarios, it is important to recognise that big data solutions may not offer the answer to problems in all scenarios. 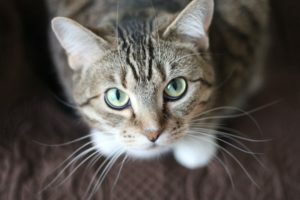 The image recognition platform will use its artificial intelligence software to recognise patterns in this photo and should easily answer the question: a cat! The image recognition software has sufficient data to answer this question. The question we pose to our big data system is what is the root cause for production losses such as machine downtime, machine speed losses or machine reject losses. 1. The operator was delayed driving to work due to unexpected roadworks near the site entrance (this accounted for 30 minutes of downtime). 2. There were no caps near the machine on the factory floor and the operator had to go to the stores to get them (this accounted for 10 minutes of downtime). 3. There were caps on the factory floor but there was no operator to load them into the machine as the operator had to attend a review meeting with his manager (this accounted for 20 more minutes of downtime). We can see that the reasons listed 1 to 3 above indicate the root causes for the machine stoppages. The machine data automatically records the effect (that the machine stopped running) but not the root cause. 1. The operator was delayed driving to work due to unexpected roadworks near the site entrance (this accounted for 30 minutes of downtime). – take action to ensure any roadworks are being communicated from the local authorities and communicated back to the operators and other staff. 2. There were no caps near the machine on the factory floor and the operator had to go to the stores to get them (this accounted for 10 minutes of downtime). – take action to ensure that sufficient materials are at hand on the factory floor at the start of each shift. 3. There were caps on the factory floor but there was no operator to load them into the machine as the operator had to attend a review meeting with his manager (this accounted for 20 more minutes of downtime). – take action to ensure that there is an operator available to cover when management reviews with the operators are scheduled to occur. We can see in each case that the critical actionable information that we require is not the machine data but what is going on outside the machine. Root causes can be classified as being due to man, machine, materials, method, measurement or environment. It is important to understand that no big data solution will ever autonomously tell you all of the critical root cause data in this scenario as the critical root cause data does not reside in the machine. Unfortunately in our examples above the root cause information does not exist in any electronic format and for this reason it is important that any machine downtime management system allows for manual recording (ideally in software) of root cause reasons. While there may be other applications where big data may prove useful in manufacturing environments (e.g. monitoring automated process plants), it is important to recognise the limitations of big data applications specifically around OEE / machine downtime type applications. It is important to realise that we are looking for actionable information that can be used to make sure that production losses do not reoccur. The machine data is not in itself a complete data set but rather a subset where the complete data set includes what is happening with man, machine, materials, method, measurement or environment. Most of this information does not exist in an electronic format and is unlikely to anytime soon. While it is always progressive to look for new ways to use data to improve effectiveness, it is also important from the outset to ask the question: what are the limitations of our data.